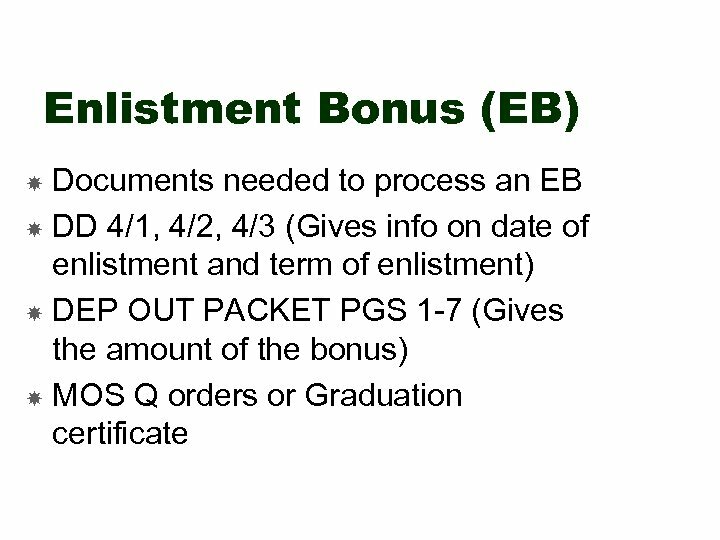 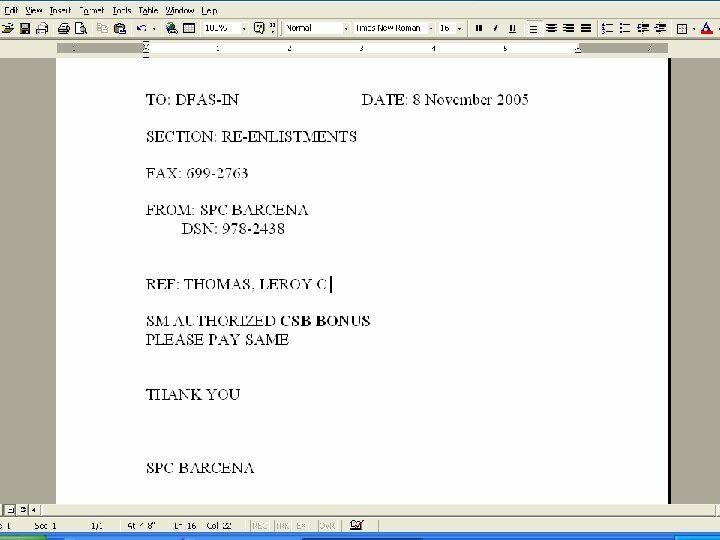 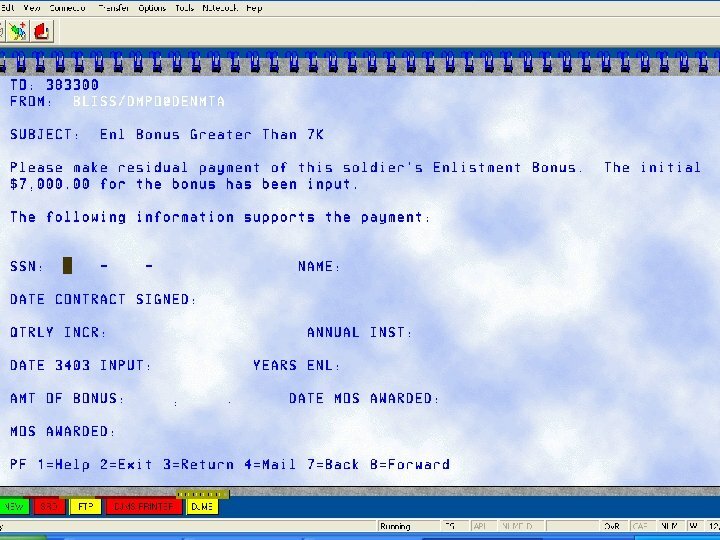 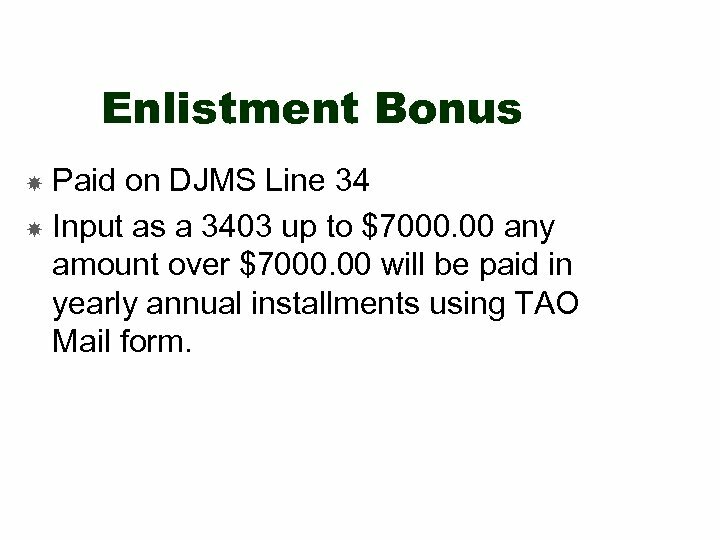 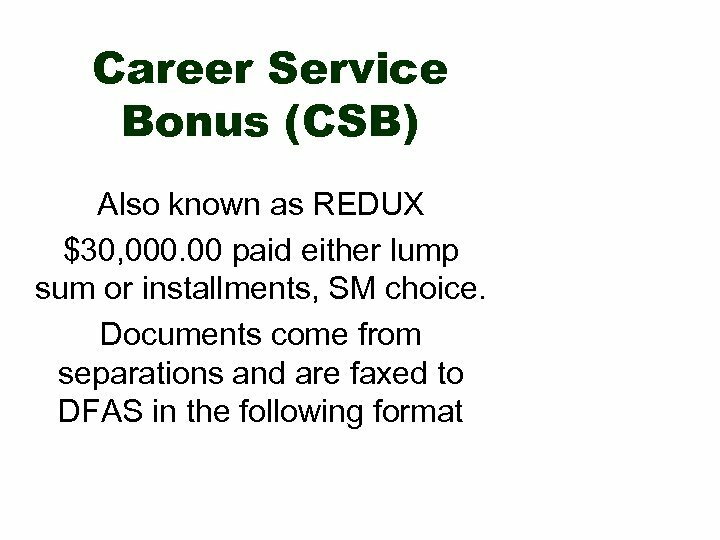 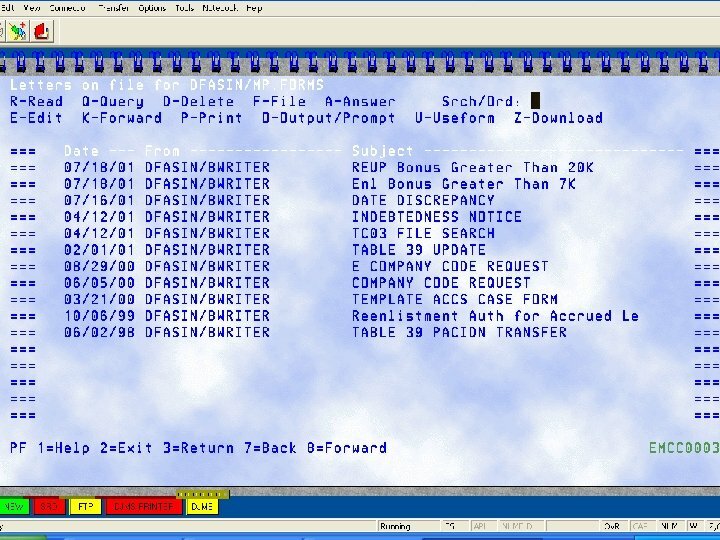 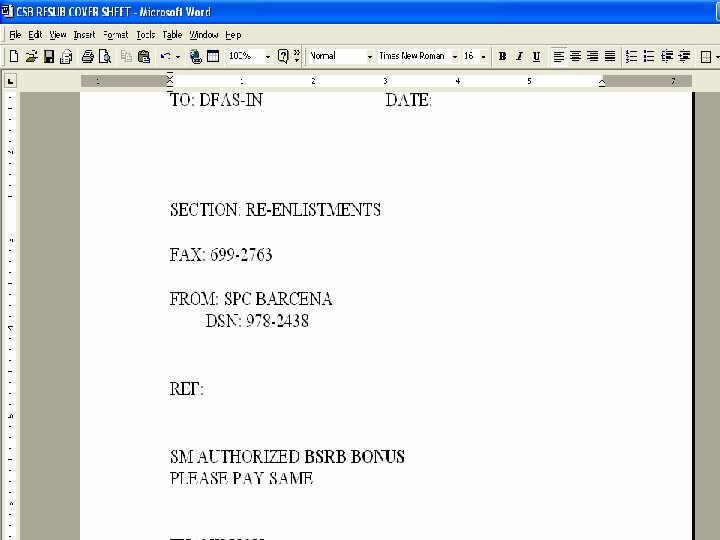 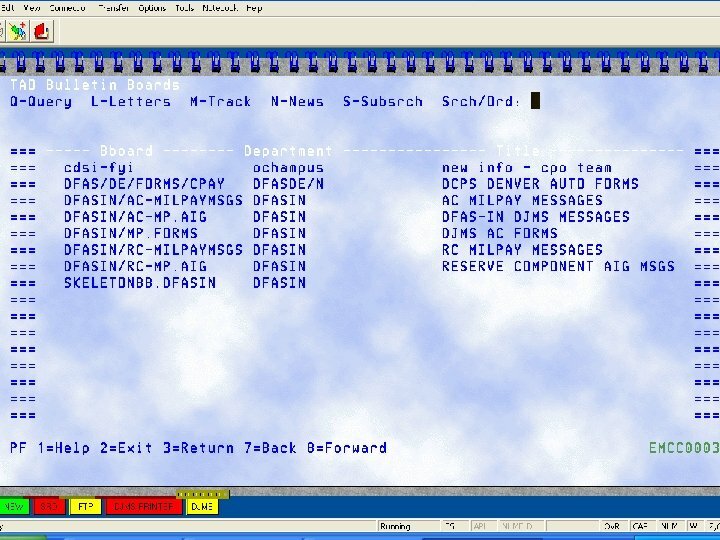 Enlistment Bonus Paid on DJMS Line 34 Input as a 3403 up to $7000. 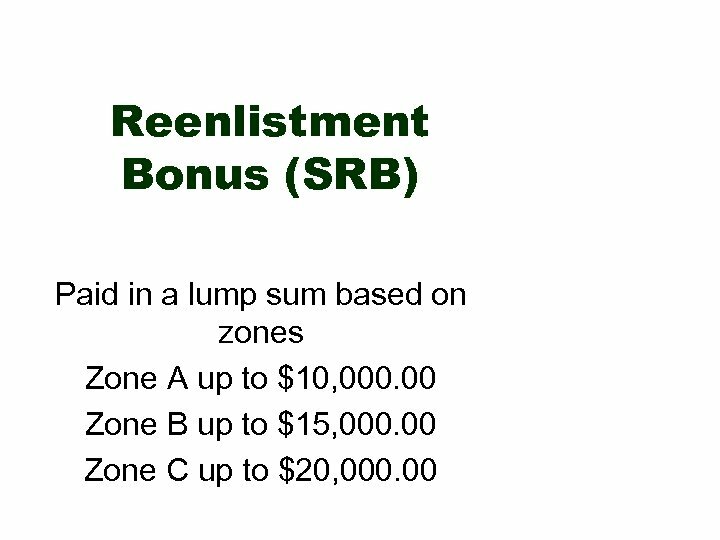 00 any amount over $7000. 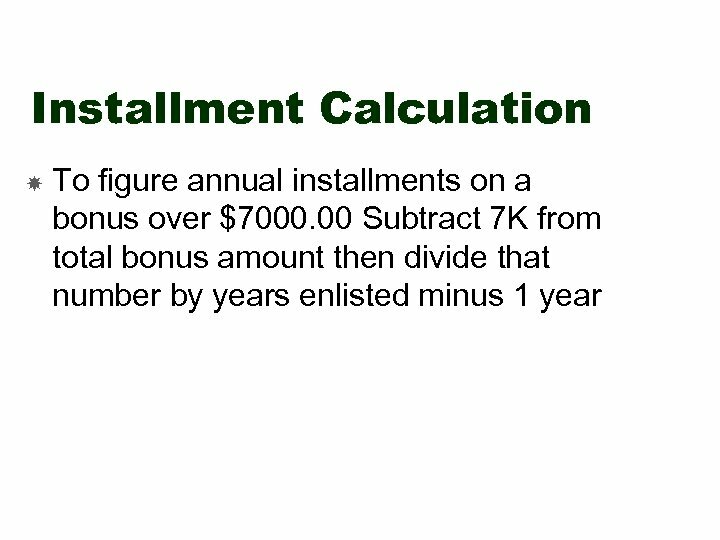 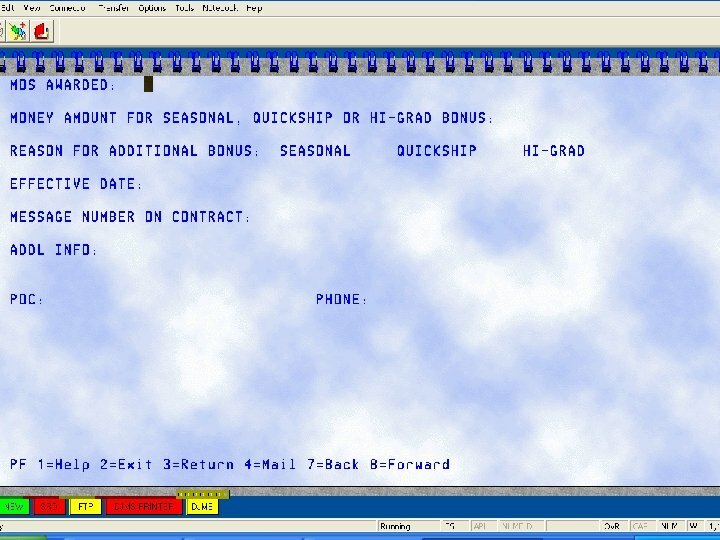 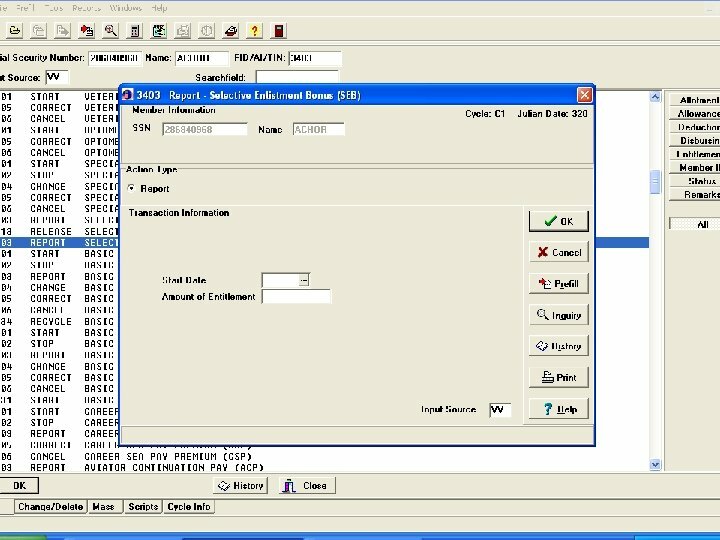 00 will be paid in yearly annual installments using TAO Mail form. 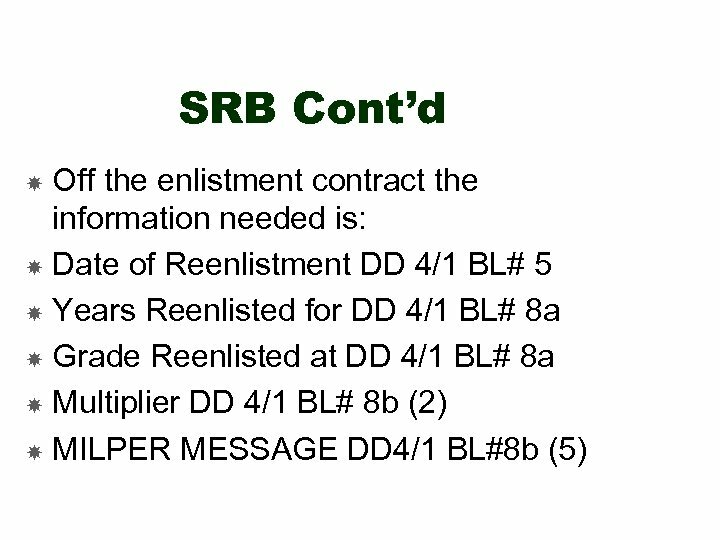 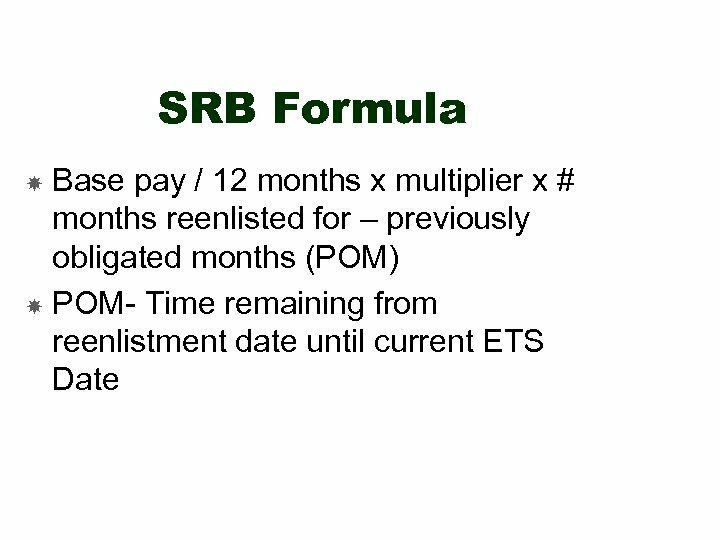 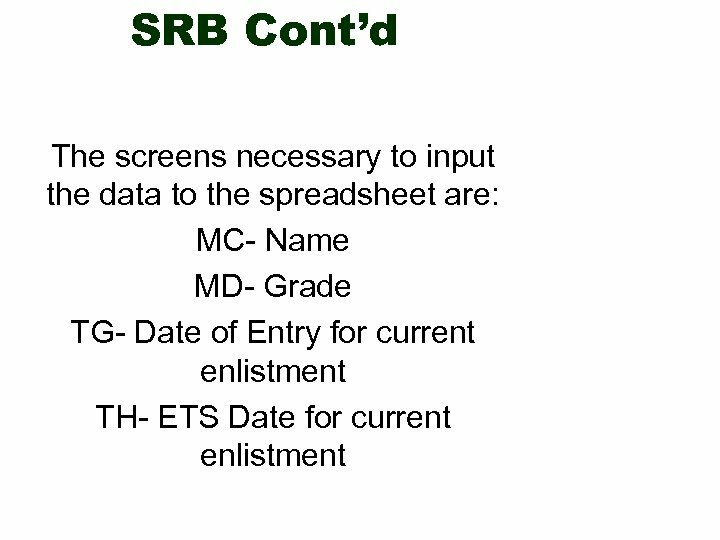 SRB Cont’d Bonuses are submitted and checked daily. 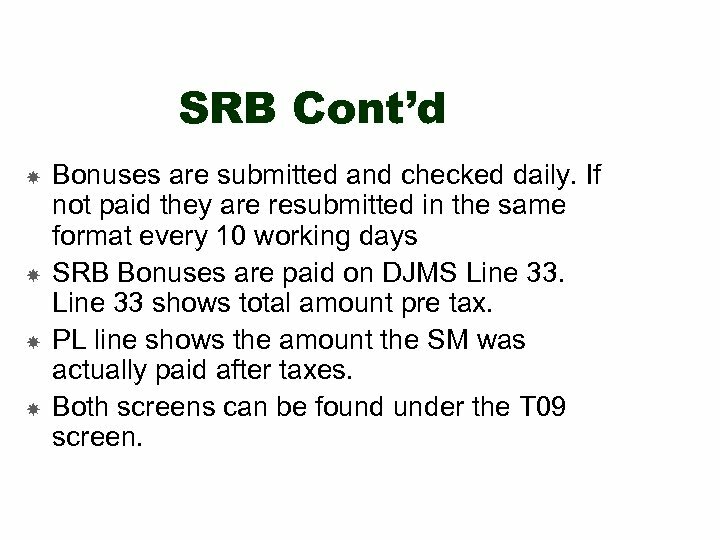 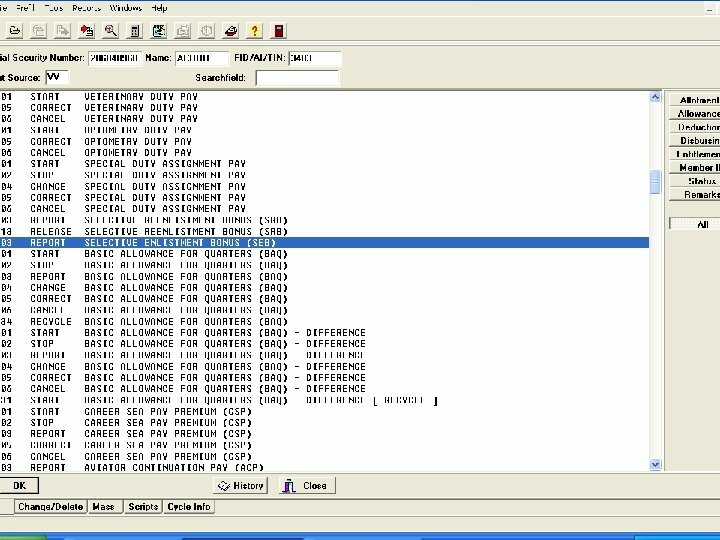 If not paid they are resubmitted in the same format every 10 working days SRB Bonuses are paid on DJMS Line 33 shows total amount pre tax. 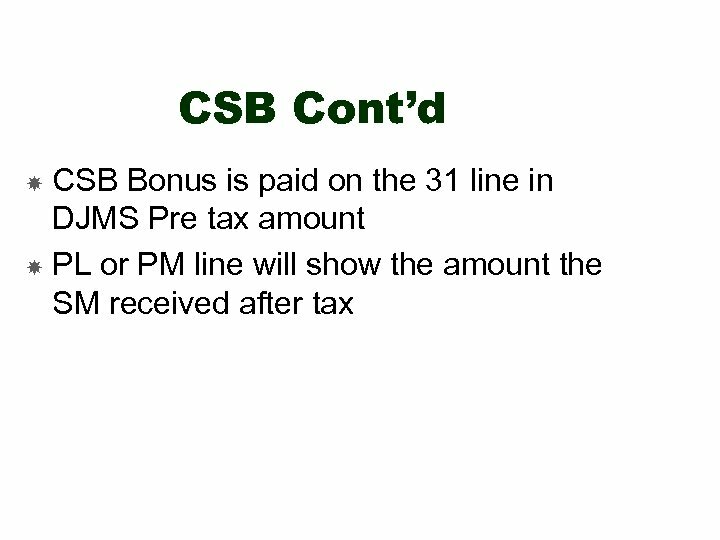 PL line shows the amount the SM was actually paid after taxes. 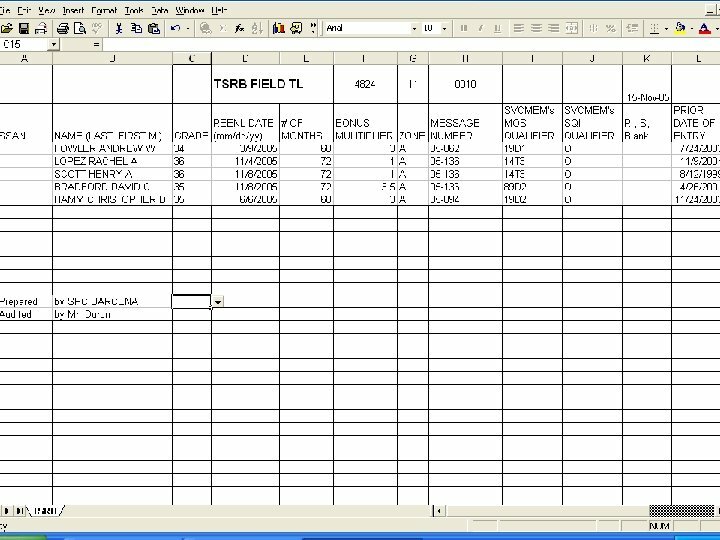 Both screens can be found under the T 09 screen. 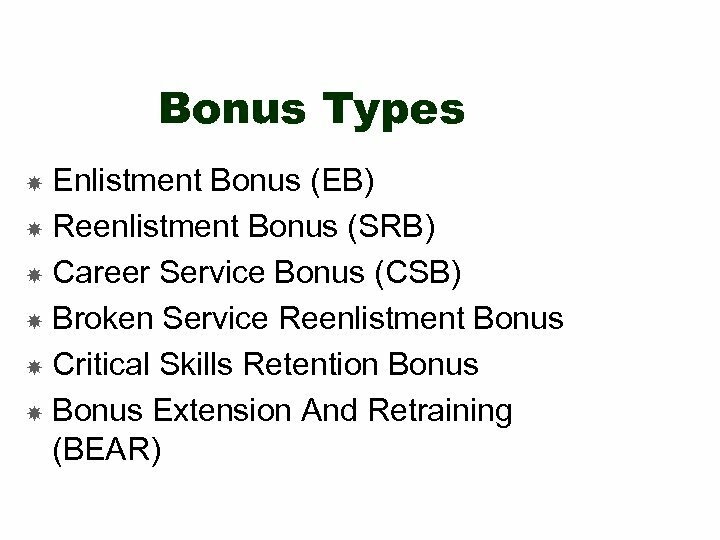 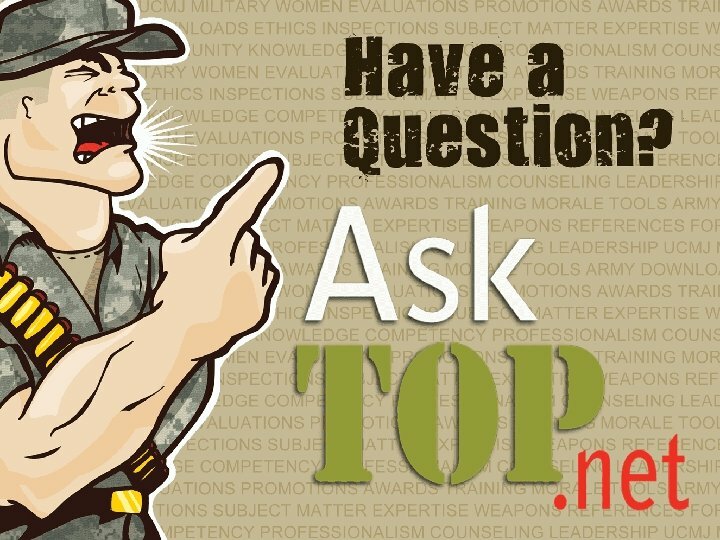 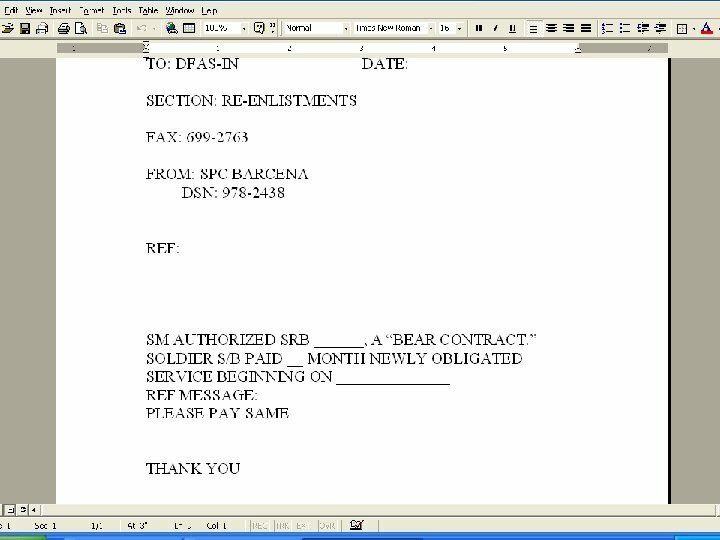 Bonus Extension and Retraining (BEAR) Bear bonus is offered to service members who agree to reenlist for critical shortage MOS. 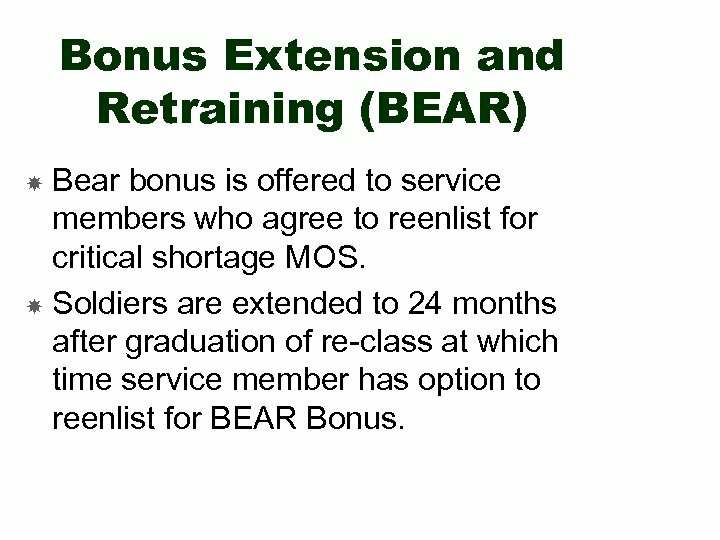 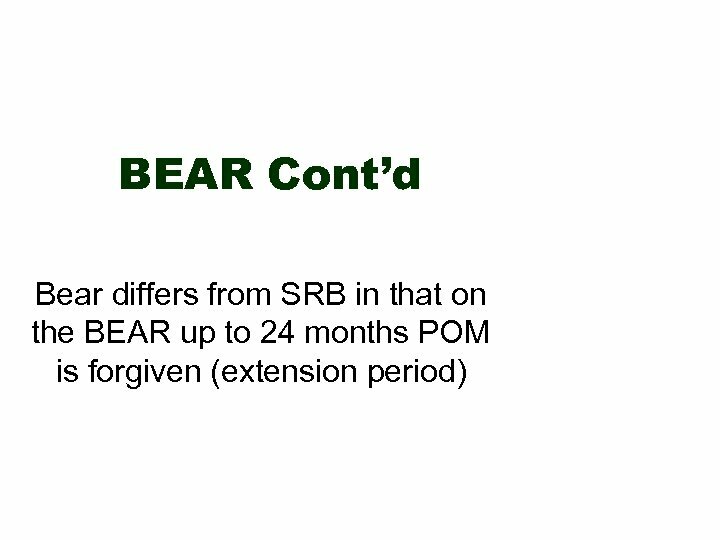 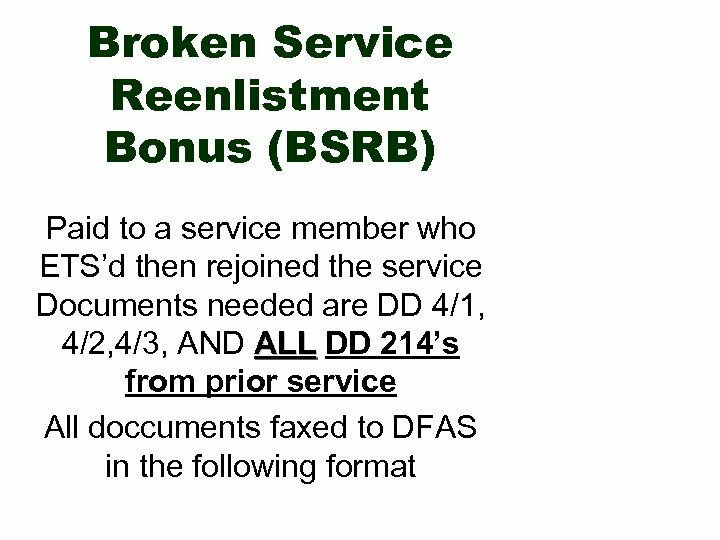 Soldiers are extended to 24 months after graduation of re-class at which time service member has option to reenlist for BEAR Bonus.